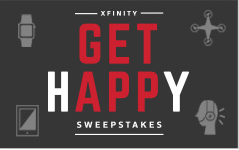 Xfinity Get Happy Sweepstakes – Win $25,000! ENTER SWEEPSTAKES HERE – Xfinity Sweepstakes page. ELIGIBILITY – The Sweepstakes is only open to legal residents of the fifty (50) U.S. and the District of Columbia (excluding residents of Puerto Rico, and all other U.S. territories and possessions) who are of legal age of majority in the jurisdiction in which they reside (and at least eighteen (18)) as of date of entry. 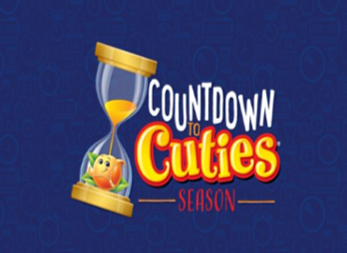 SWEEPSTAKES ENTRY PERIOD – The XFINITY® Get Happy Sweepstakes (the “Sweepstakes”) begins on December 16, 2015 at 12:00:00 PM Eastern Time (“ET”) and ends on January 4, 2016 at 11:59:59 PM ET. PRIZES – One (1) Grand Prize: One (1) Grand Prize winner will be selected to receive $25,000 awarded in the form of a check. Approximate Retail Value (“ARV”) of Grand Prize: $25,000.